While it’s still prime season to tee off in California, golfers now have a new retreat after a day spent on the links. 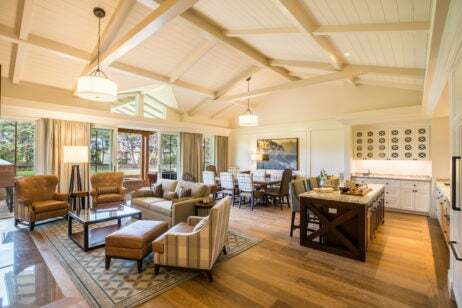 Only steps from the first tee at Pebble Beach Golf Links, The Lodge has unveiled a new guest experience at Fairway One. Overlooking the sprawling green of Pebble Beach Golf Links, Fairway One at The Lodge is now open to offer a relaxing stay to guests with all the perks of a golf getaway. 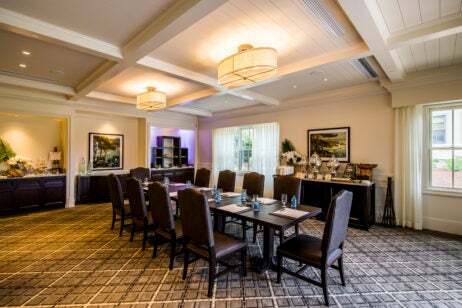 Located on the beautifully preserved Monterey Peninsula, Fairway One comprises 30 guest rooms, two four-bedroom golf cottages and a new meeting facility. At Fairway One, large picture windows and terraces showcase the golf course and nearby Pacific Ocean, with the space outfitted in neutral tones, leather furniture and sporty plaids for an upscale clubhouse atmosphere. The two Fairway One Cottages (named The Eastwood Cottage and The Palmer Cottage after actor Clint Eastwood and golf great Arnold Palmer) each front the first fairway to serve as the most spacious accommodations onsite. The cottages feature two king-size bedrooms, two queen-size bedrooms, a large living room with high wood-beam ceilings, stacked stone fireplaces, dining area, wet bar and outdoor terrace with fire pit. 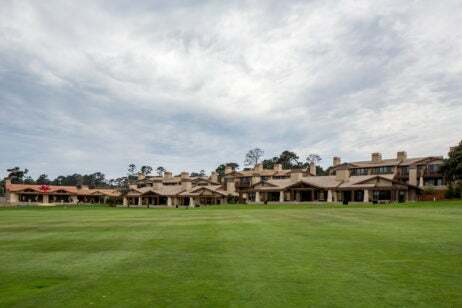 Ideal for the avid golfer, guests of The Lodge at Pebble Beach have access to any of the property’s golf courses as well as the private members-only clubs, The Beach & Tennis Club and The Spanish Bay Club. Aside from the weekend of annual Pebble Beach Concours d’Elegance, guests can go for a scenic ride along 17-Mile Drive to take in the stunning coastal landscape, boardwalk, and, of course, iconic golf courses — complimentary with an overnight stay. Off the course, guests can stop into The Spa at Pebble Beach to enjoy treatments specifically “Fore The Golfer,” such as the Golfer’s Hole-in-One Package which includes an 80-minute sports bodywork massage and 25-minute foot renewal. End your evening with wood-roasted cuisine at The Bench restaurant before sunset drinks at The Terrace Lounge cocktail bar. Renovations for The Lodge at Pebble Beach Fairway One are set to continue in winter 2018 to update and expand current rooms as well as double the size of ocean-front patios and decks. The Lodge at Pebble Beach is located at 1700 17-Mile Drive Pebble Beach, CA 93953. For more information, please visit pebblebeach.com.